Winter bazaar, great charity event! 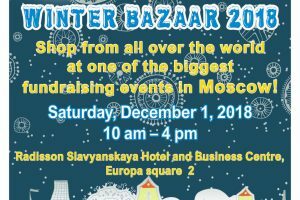 On 1st of December there is an amazing place where you can do all your holiday shopping and enjoy different food, goods and performances from all over the world. This annual tradition and cultural icon is one of Moscow’s longest running shopping and music festivals attracting up to 4,500 shoppers each year. It is held at Radisson Slavyanskaya Hotel and Business Centre, Europa square 2. 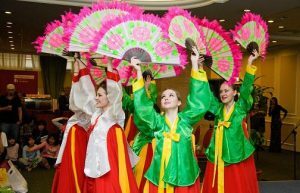 Embassies presented in Russia sell their traditional products and food, and many of them lend their country’s musicians, dancers and other performers for the event’s cultural program. 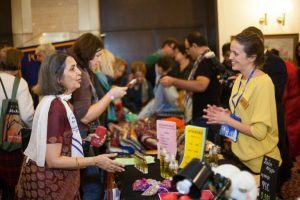 Local and foreign visitors enjoy the warm atmosphere, wander the fragrant halls of the Winter Bazaar and discover exotic holiday gifts and nostalgic goodies from home at the diverse embassy stands. 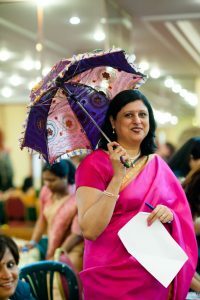 This event is also a fundraising events of the IWC (International Women club), where all proceeds go to several charity projects.The charity projects provide long term support and emergency care for people living below the poverty level such as children from poor and unstable families, the elderly and destitute. Tickets are 400 rubles per person, children under 10 years old can visit for free. Enjoy the amazing experience and try many different things from all around the world. « Christmas, the French way – in Moscow!